At a recent seniors’ retreat in our church the topic of music style came up. 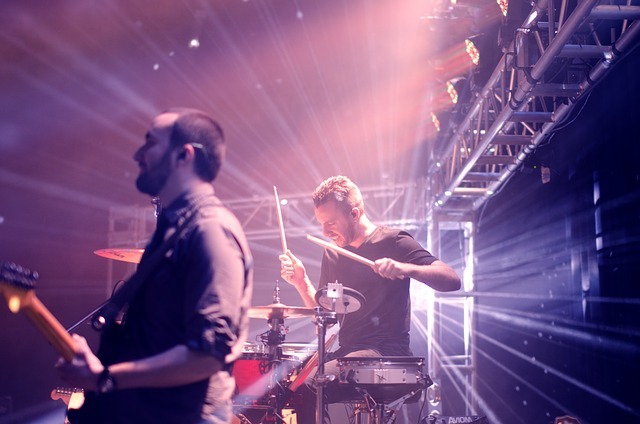 During a Q&A session our lead pastor listened to complaints (drums too loud, too much repetition of lyrics, rock band style, use of lighting) and patiently explained the leadership's rationale for the style of music, that he heard us, but that it wouldn’t be changing any time soon. I came away from the meeting feeling good, and bad. Good because people (we) had had our say and the matter had come out into the open. But bad because I sensed the discontent could easily fester on. Whenever disunity pops up in our local assembly I am disturbed in my spirit… especially when I feel strongly about one side. However, I can’t help but think of the Israelites and the trouble they got themselves into when they grumbled against Moses during their wilderness years. Being part of a dispute is serious business. “Ignorant” because there are often things the complainers don’t realize about the issue; angles they haven’t considered. 2. Talk to the people who have the authority to do something about the issue (probably the pastor if it’s in a church setting), explaining concerns and listening to explanations. 3. Stop yourself from dwelling on your discontent. Instead, praise God for leaders who are sensitive to God's direction. Relinquish the matter to God and trust Him to work it out in His way. 4. Stop discussing the issue with others, listening to their complaints, and so feeding the fire and generating strife. 5. Continue to pray—for wisdom for leadership, a good attitude in yourself, and unity in the body. PRAYER: Dear Father, help me to avoid disputes and not be a strife generator. Amen.